Chromium carbide surfacing alloy self-shielded hard surfacing wire . 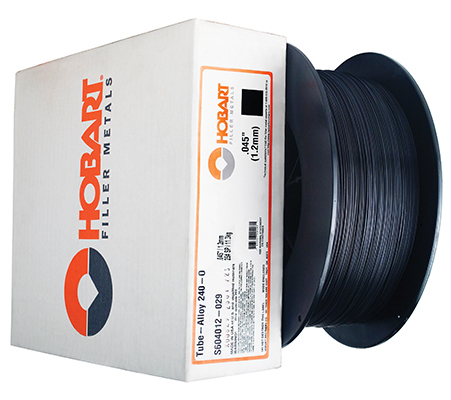 Chromium carbide surfacing alloy self-shielded hard surfacing wire which can be used on components subject to severe abrasive wear and heavy impact. Tougher than conventional chromium carbide. Applications include final overlays on roll crusher shells, final overlays on hammermill hammers, cone crushers, shovel teeth, augers and screw conveyors.